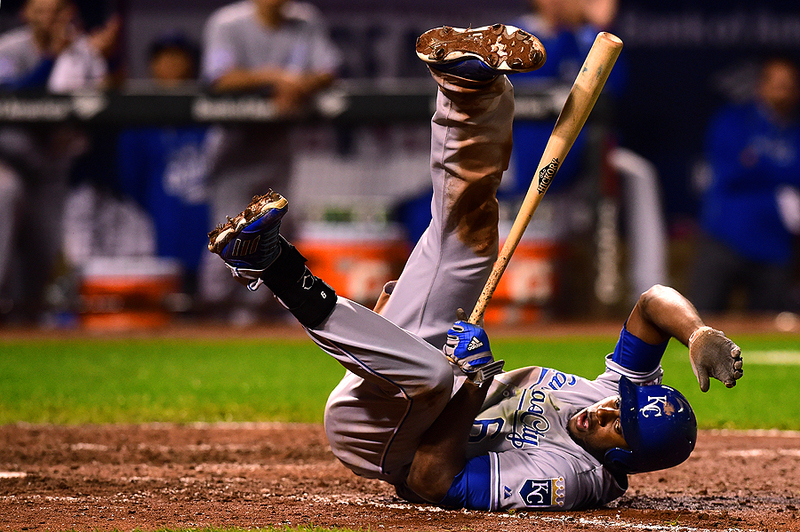 "Lorenzo Cain #6 of the Kansas City Royals falls to the ground at bat in the seventh inning against the Baltimore Orioles during Game Two of the American League Championship Series at Oriole Park at Camden Yards on October 11, 2014 in Baltimore, Maryland." The Major League Baseball playoffs are still happening and it was a fun ride while in lasted in the Baltimore/Washington metro region. Covering the games for Getty Images, we teamed up and documented all the games at both Oriole Park at Camden Yards and Nationals Park. Having the opportunity to document the intense, emotional play of any playoff game is always a lot of fun. Every swing and every pitch is important - and so is every picture. Not sure why I liked this above frame of Lorenzo Cain of the Kansas City Royals, but it reminds me that anything is possible during the playoffs. It will be an exciting finish at the Royals and Giants battle for the championship.